And now, it's time for a tale of good parenting and family values — Florida style. 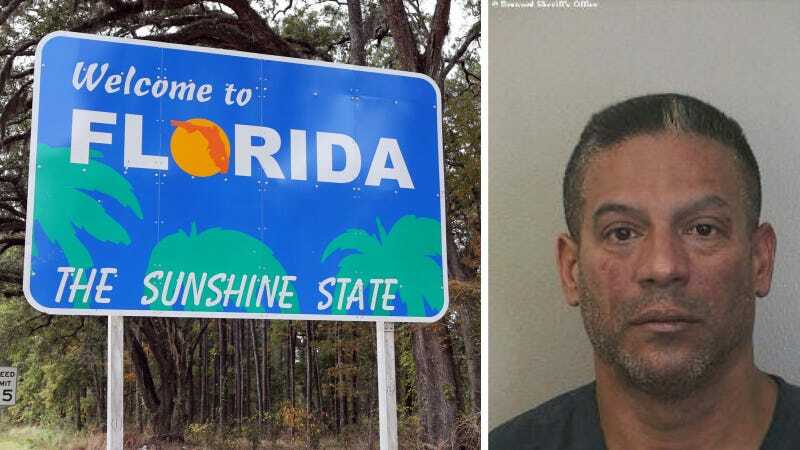 Recognizing the importance of father-son bonding, police in Davie, Florida say that 47-year-old Israel Guadalupe brought his 14-year-old son on an errand he was running earlier this week. That errand, unfortunately, was the torching of Guadalupe's girlfriend's car after she broke up with him via text message, according to the South Florida Sun-Sentinel. A police report says Guadalupe set fire to the woman's 2011 Ford Fusion around 1 a.m. Tuesday. Police found it engulfed in flames with a gas can nearby. Surveillance video and witnesses ID'd Guadalupe's Chrysler 200 leaving the scene, the newspaper reported. When police got a search warrant and went into Guadalupe's home, they found the boy suffering from burns on his leg. He told the police that his dad made him help torch the car, then refused to get him medical treatment when he was burned. Police say Guadalupe did not seek medical treatment for his son at any time. According to police, when he was placed in the same interview room with his son, he told the boy, "Why did you tell them you got burned? You should have told them you did that with a pressure cleaner." Father of the year right there. In Florida, at least. Hat tip to Florida Man!